Conesford was the long, straggly suburb to the south of the medieval city, within the walls but with an independent life of its own. 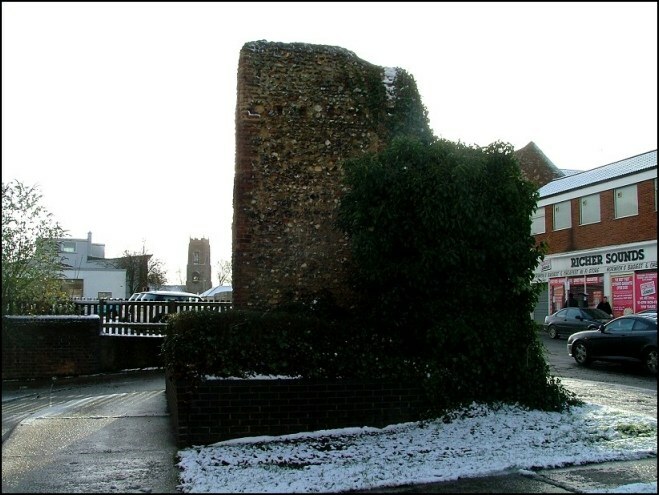 Conesford had nine medieval parish churches, as well as several monasteries, and was home to important merchants - the Pastons' Norwich house was in Conesford, down on the main road to London, the Royal Conesford way. Today, this is King Street. Parallel to it, but high on the ridge to the west, is Ber Street, leading out of the city centre to the Berstrete Gate in the city walls. 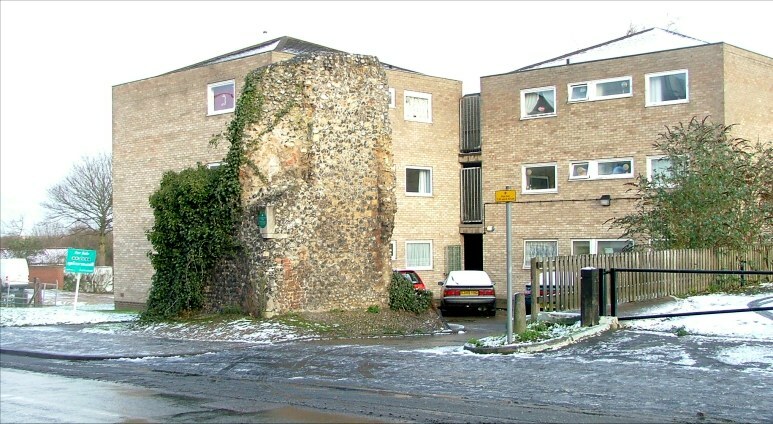 In the 18th and 19th centuries, this part of Norwich became home to warehouses and factories, a slum area of workshops and back to back terraces. As if to prefigure this, St Bartholomew was abandoned in the 16th century, and became used as a factory. 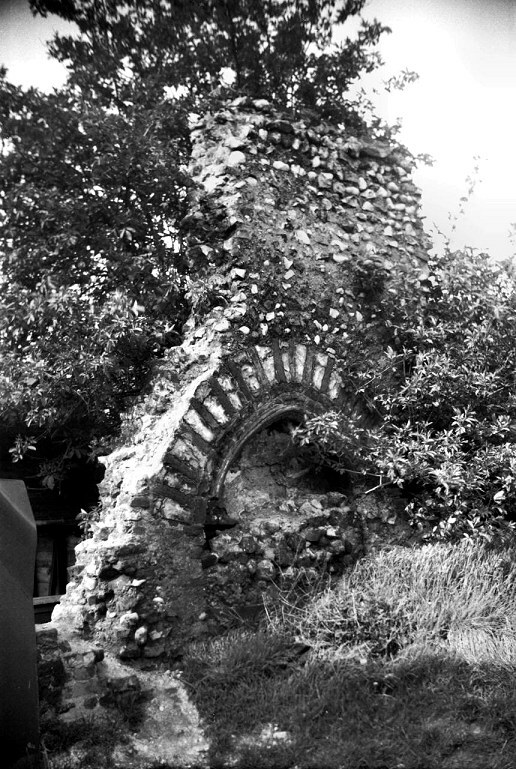 Gradually, other buildings were built on to it, until almost nothing at all of the medieval exterior showed. 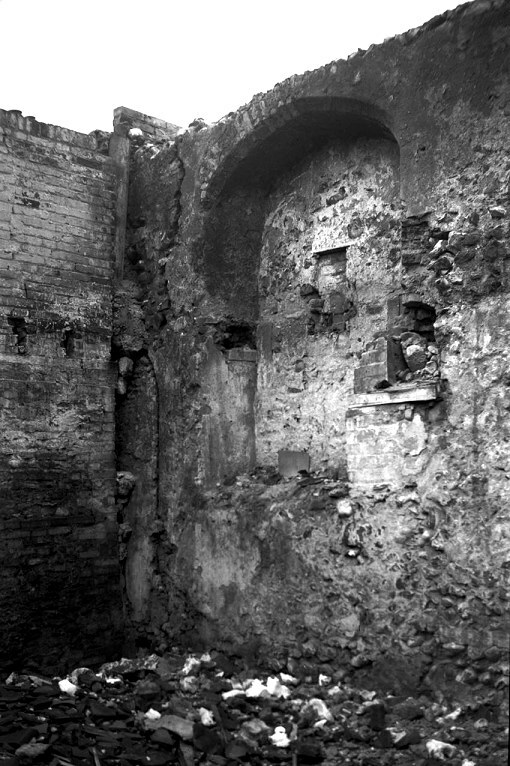 You would not even have known it was there - all that was visible was part of the south wall of the nave, shown here on the left in George Plunkett's 1930s photograph. IAbout this time, George sketched in his own hand Claude Messent's plan of the building as it was in 1931. You can see this sketch at the bottom of the page. 19th century houses had been built into the west end. 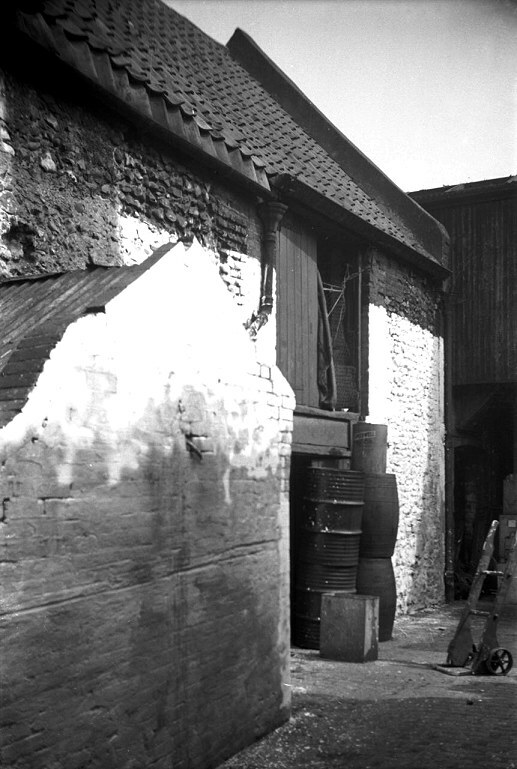 The nave and chancel were part of Snellings factory. Against the north wall was a slaughterhouse. 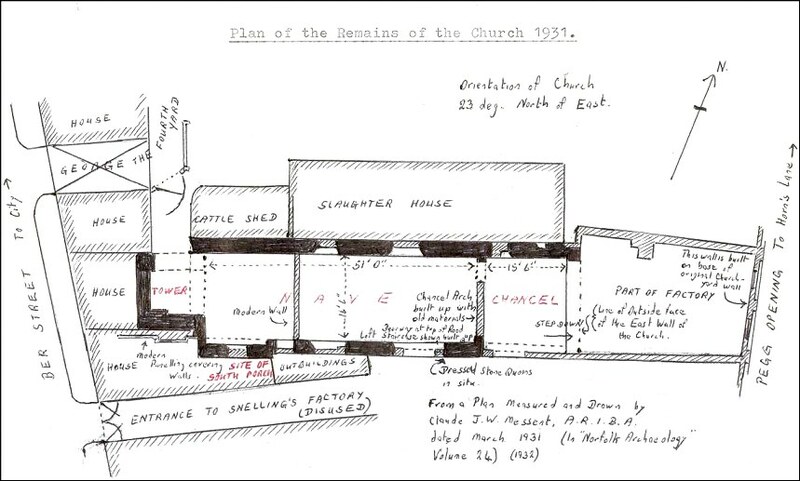 George Plunkett's fascination with the Norwich churches led him to be at hand when the Norwich City Corporation began to clear the site in the summer of 1939. If they had left it a couple of years then they needn't have bothered; the Luftwaffe would have done it for them. 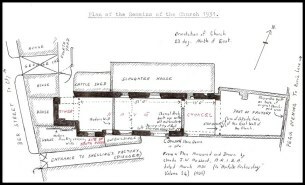 As it was, the ramshackle lean-to buildings were peeled away and the core of a medieval church revealed; the blocked up chancel arch, Tudor arched interior window splays, a brick south doorway. 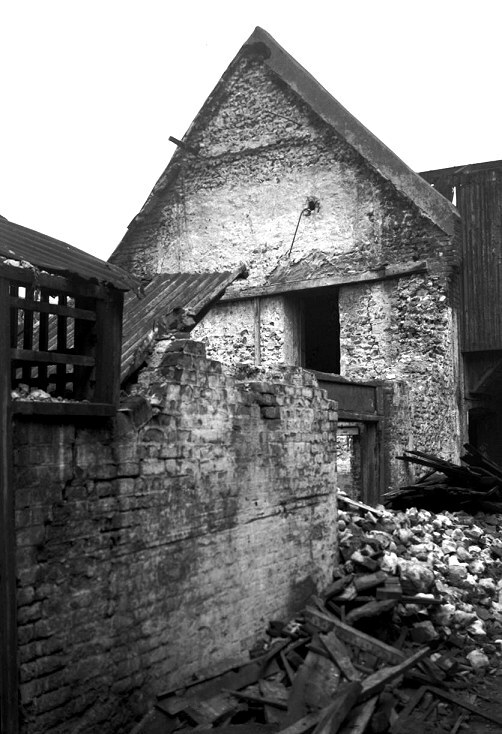 All this has now gone, and all that survives is the stump of the tower beside the pavement on Ber Street. It is usually supposed to be a victim of war damage, like St Michael at Thorn a hundred metres to the north, but this is not the case. Modern sheltered housing sits on the place where the church and the factory and the slaughterhouse was. 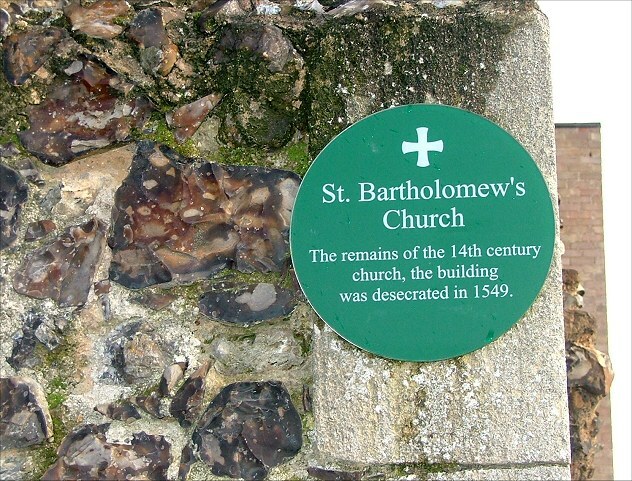 St Bartholomew should not be confused with Norwich's other medieval church of the same name. 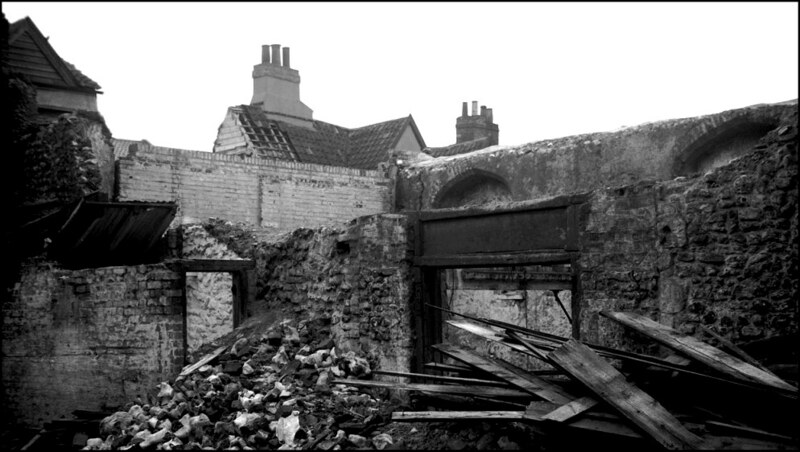 The other one was the parish church for Heigham, the area to the west of Pottergate and St Benedict, and is also a ruin today - but unlike the long-suffering St Bartholomew of Ber Street, the Heigham church really was gutted in the blitz.